This past weekend I got to hit the pause button at the stunning Virginia Creeper Trail. Tis the season for outdoor adventures again for me! I received the gift of a moment to breathe, reflect, get into my body and to be alone with my thoughts for miles at a time as I pedaled my bike. Once I really paused to look back over the last year, it’s been one for the books. Things are always shifting and changing over here at Momentum headquarters. This past year has been no exception. I bought a house, sold a condo, moved, got engaged, planned a wedding, got married, really organized my 3 signature programs and had my biggest year in business to date. Of course, it isn’t always easy. Life isn’t always sunny and beautiful in the land of the self employed I can promise you that. My tax bill for last year ate me alive. Some “reward” for a great year, huh? That resulted in lots of paperwork and changes to the business. My husband and I work on our marriage constantly, improving our communication, making time for each other and yes, even fighting sometimes. I burn dinner from time to time. I procrastinate on my daily work outs. I don’t always meet my deadlines. I also had to say a very sudden and completely heartbreaking goodbye to my companion and officemate of the last 12 years, Marcas. Trust me, his purring and snuggling has been a huge stress reliever for me. He has been the sweetest support and companion all these years. I miss him terribly already. There was a little bit of him in all of my work as he laid on my desk like he is in the photo above almost everyday. A lot of coaches won’t share with you the “real” stuff that is happening and I just want you to know that life is still life. Even though I’ve studied extensively how to create momentum, how to communicate better, how to make the best choices for myself…life still throws me curveballs. I still mess up. I still have fights. I still have things to work on. I’m still learning. I still get shocked by events I didn’t foresee happening. That part of life never stops. So, when I finally got some moments to breathe and really take some space to be with my thoughts and sort through the whirlwind of the past year this weekend, two major themes emerged that I wish to share with you. 1. You make your own adventures in life. Don’t let time, money or the number of friends you have become an obstacle. 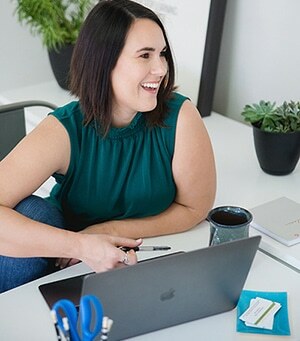 I have been a weekend warrior for YEARS – even in the beginning of my business when I was struggling. All it took was one friend, an idea and a vehicle (and typically a tent) to make it happen. My weekend adventures can be expensive, but the majority of them cost me less than $200 for the entire weekend. You don’t have to be a full time adventurer to “do it right.” I am super proud of all the things I have seen and done in my years of adventuring. Make your adventures in the time you have with the budget you have available to you. There is so much of this world to see. Stop waiting. Get out there and play. It’s all right at your fingertips! 2. You make your own happiness. My heart always flutters a little bit when someone is humble enough to acknowledge the differences in us all without judging them. I adore people who can have a conversation and make an observation about someone who makes different choices than them followed up by, “but I understand their choice because…” Or, “it works for them, which is so awesome because I can see they are happy.” Isn’t this the point of life? To do things that make you happy inside? To support others who do things that make them happy inside? Whether or not you “get it.” That joy just seeps on out through their skin onto their face and illuminates a grin that is unmistakable. I love that kind of happiness. The kind that comes from the inside. Not the kind that results from someone or something outside of you. Go out and make your own happiness. Find out what causes that widespread grin to appear on your face. Pay attention to those moments. Then strive to make more! 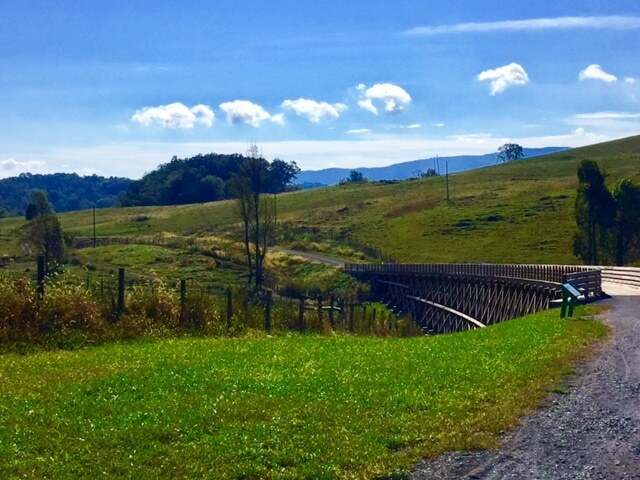 For me, I found myself surrounded by great friends this past weekend at the Virginia Creeper Trail, beautiful Fall weather, a healthy body and warm memories to reflect on. Life is ever changing. Some years are heart warming, feel all the feels, can’t get enough of the good stuff type of years. Some are downright rotten. That will continue. Those rotten years teach you what you are made of. They teach you what you really want – and what you don’t! – out of life. Those years that produce ease and happiness allow you to enjoy all the work you’ve done on yourself. To have the reflections. To savor life’s great moments. Don’t take them for granted. We often have more momentum than we even realize. Abundance, too! At any given moment, you can stop to filter out the bad and focus in on the good. When you do that, you will begin to see more and more of it. You have so much more than you give yourself credit for. I guarantee it. So, my first challenge to you this month is to pay attention to what brings you adventure and happiness and to make plans to create MORE of that in your life. My second challenge is to sign up for the Momentum and Abundance Challenge below that starts on October 10th! It’s free and will teach you even more about how to create abundance in the ways of releasing old patterns, health, home, fitness, career, money, play and relationships over 8 days. Just click below to join if you are ready to make some new strides forward in your momentum!